How wide should paragraphs be formatted for optimal reader retention and ease of reading? While everyone is familiar with the narrow, multi-column formatting in newspapers and magazines, research on the issue is not consistent. Early work using printed media favored narrow formatting, while more recent work using computer monitors has favored wider formatting. 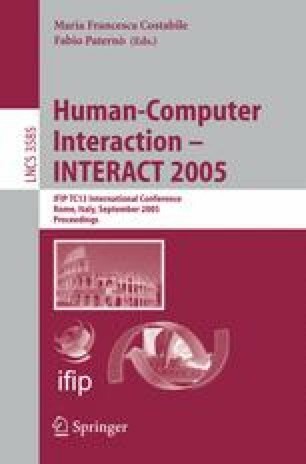 In this paper, we approach this issue by using eye tracking analysis of users reading material on instructional web pages. In our experimental system, subjects read the material using an instrumented browser that records all HTML content and browser actions, and their eye gaze is recorded using a nonobtrusive, “remote” eye tracker. Comparing the wide and narrow formatting conditions, our analysis shows that for narrow formatting, subjects (a) read slightly faster, (b) have fewer regressions, (c) retain more information in a post-test of the material, but (d) tend to abandon the ends of longer paragraphs.